Acrobat XI is chock full of ways to enhance our PDFs to enrich the user experience for people who read our documents. One of the was we can create more engaging PDF documents is through the use of links. 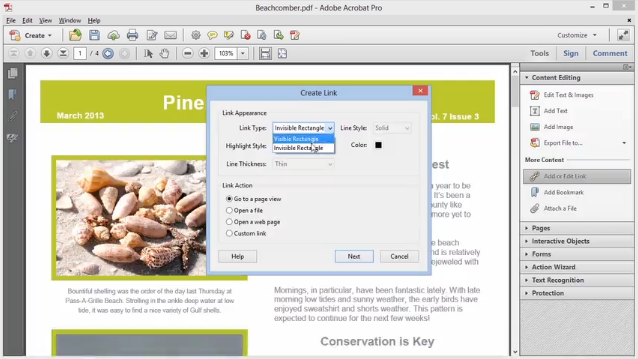 Creating and editing links is easy in Acrobat XI. In this video, I demonstrate how to create and modify links to pages and page views, links to other documents, and links to the web. Learn more from my full courses at Infiniteskills.com. This entry was posted in Acrobat, Creative Cloud, Tutorial and tagged Acrobat, Edit, Links.